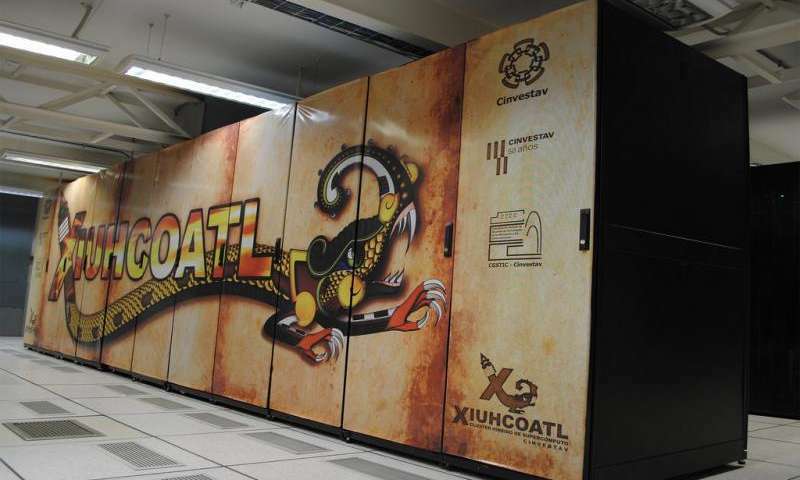 The hybrid cluster Xiuhcoatl at the Center for Research and Advanced Studies (CINVESTAV) performs 250 trillion operations per second. The potential of this supercomputer is now available to researchers, companies and industry, as well as institutions from the public sector that require processing of large volumes of information. Dr. Mariano Gamboa Zuniga, general coordinator of Services Information Technology and Communications at Cinvestav, explains that the cluster has been an important tool for science and technology projects related to high performance numerical computing and in areas such as astronomy, atmospheric science, physics, nuclear science, chemistry, mathematics and engineering, as well as for applications with processes regarding shared or distributed memory and vectorial calculation. The supercomputer has crunched data for 72 projects proposed by 54 researchers from the school, and as a result they have 48 refereed articles, 61 publications, 22 for national congresses, 29 for international , and have developed 29 doctoral theses and 11 master's, points out Dr. Gamboa. 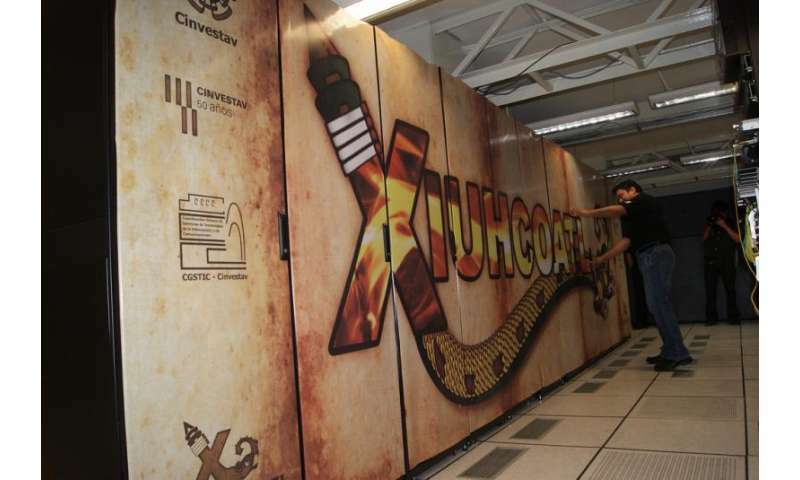 The Xiuhcoatl, which in Nahuatl means fiery serpent, is called a hybrid cluster because it integrates Intel and AMD processors, and incorporates an emerging technology called GPGPU (General-Purpose Computation on Graphics Processing Units). It has more than 250 teraflops—a teraflop is equivalent to a trillion instructions per second. The cluster at Cinvestav consists of 170 servers running compute nodes, with 3,000 480 processing cores, with energy consumption 15 percent lower than previous technologies. As supercomputing equipment of such magnitude benefits the academic sector, mainly by supporting scientific and technological research, for government and business sectors, it provides housing opportunities and development of applications requiring high-level storage, virtual training, cloud services and rental of servers, says Dr. Gamboa, a member of the Specialty Commission in Electronics and Communication Engineering, from the Engineering Academy of Mexico (AIM). The three clusters are connected through the Metropolitan Delta of Supercomputing, a network of single mode optical fiber of 72 threads and 108.4 kilometers in length installed along the metro stations of the Polytechnic, UAM-I and University, with a bandwidth of 10 gigabytes. Finally, it is worth noting that China has the most powerful super computer in the world, Tianhe-2, capable of 33.86 petaflops per second, which means it can perform one quadrillion operations per second. The second place is Titan, the US equipment at the Department of Energy's Oak Ridge National Laboratory and has a speed of nearly half of the operations in the same period.